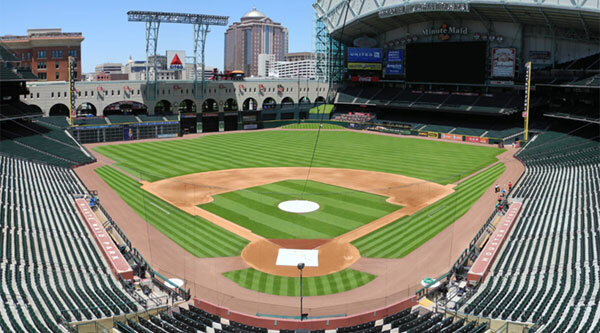 HOUSTON – The Houston Astros and new corporate partner Mazda are teaming up in 2014 to enhance the fan experience in Minute Maid Park. Mazda is now the official naming rights partner of the Mazda Club Level on the second floor of Minute Maid Park, which will showcase brand new 2014 models, including the Mazda6 mid-size sedan, the Mazda3 compact sedan and five-door and the Mazda CX-5 compact SUV. The new partnership also includes two brand new, fan-friendly promotions: Mazda Matinees and the Mazda Club Level “Key Access.” Starting April 27, the first 20 fans to park their Mazdas in Astros-controlled parking lot C will receive free parking during all 1:10pm day games during the 2014 season as a part of Mazda Matinees. Those same ticketed fans will also receive a free Astros/Mazda gift when they enter the ballpark. Mazda Club Level “Key Access” allows all Mazda owners exclusive complimentary access to the Mazda Club Level all season long. Fans who drive a Mazda can show their Mazda keys at any entrance into the Mazda Club Level and receive access to the area for themselves and one (1) guest. Mazda is also the presenting sponsor of the Mazda Postgame Show on SportsTalk 790, the official radio station of the Houston Astros.